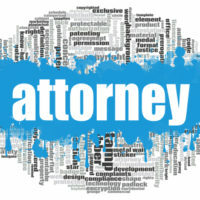 Personal injury law is simply not something that most people think about until they are injured. As such, misconceptions abound, and it can actually be detrimental to a personal injury case if a plaintiff buys into one of these myths. If you have been injured and are thinking of bringing suit, it is critical that you be certain of what is true and what is not before proceeding. Myth: Suits can be filed at any time. False. Florida personal injury law establishes a statute of limitations, or a period in which a suit can be brought (generally, within four years, if rooted in negligence law, from the date of the accident or incident). The rationale is that memories can fragment at any time, and after too long, they can become vague or confused, which can increase the likelihood of false testimony. Myth: I don’t need to file a lawsuit since I have insurance. Almost always false. While Florida requires auto insurance coverage, it does not require a particularly high minimum, and it does not require bodily injury coverage. The odd driver may have enough insurance to cover medical bills, but the vast majority will not, and medical bills add up extremely quickly. Also, if someone else has caused your harm via their negligence, you may want to sue simply on general principles – no one should be permitted to cause harm without consequences. Myth: I must wait to seek medical treatment until my claim has been settled. False, and potentially dangerous. You should seek medical treatment as soon as humanly possible, both for your physical health and also because the information you discover after a thorough examination will aid in bolstering any personal injury (or insurance) claim you make. Given the length of time insurers may take in evaluating a claim, in many instances an injured victim may suffer serious consequences if they wait in obtaining the treatment they need. Myth: Lawsuits are not worth it because they will take ages to reach conclusion. Often false. While some dockets – including those in populated Broward County – are slower than others, the overwhelming majority of personal injury cases initiated wind up settling. Statistics vary, with the settlement rate nationwide being reported anywhere between 80 and 92 percent, but Florida tracks roughly the same, posting a settlement rate in the high 80s. If you have your facts straight and a good attorney on your side, your case may be one of those that settle as well. Myth: I can handle a lawsuit myself; I don’t need to pay an attorney. False. While you might suspect an attorney saying that, the truth is that personal injury and negligence law can get very complex, and while some insurers are honest and ethical, many will try and cut corners if it means they do not have to pay out a big claim. Having an experienced attorney with you can help keep an insurer honest, so to speak, and ensure that you get your money’s worth in terms of the expenses and bills resulting from your accident. If you have been injured due to someone else’s negligence or recklessness, do not try to go it alone. The Orlando personal injury attorneys at the Hornsby Law Group can sit down with you and try to answer any questions you may have. Call our office today to set up a free consultation.